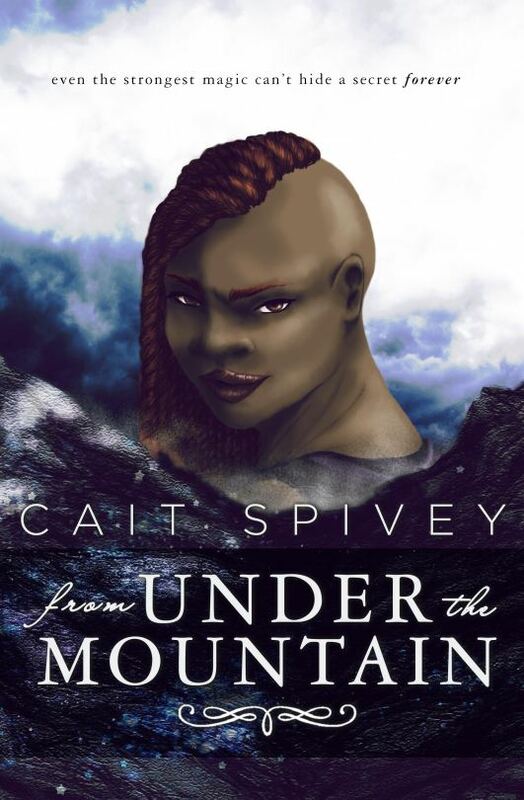 Cait Spivey is a speculative fiction writer, author of high fantasy From Under the Mountain and the horror novella series, “The Web.” Her enduring love of fantasy started young, thanks to authors like Tolkien, J.K. Rowling, Diane Duane, Tamora Pierce, and many more. Now, she explores the rules and ramifications of magic in her own works—and as a panromantic asexual, she’s committed to queering her favorite genres. In addition to working on these and many other projects, she is a developmental editor for REUTS Publications and a freelancer with Bear and Black Dog Editing, LLC. She has interned with both the Bent Agency and Corvisiero Literary Agency, and was lead editor for more than a dozen novels with Curiosity Quills Press. She has a B.A. in English Literary Studies (and yes, she’s heard that Avenue Q song). She worked on her college’s literary magazine, The York Review, for two years, first as Prose Editor and then as Managing Editor. She was also a contributor. She has had two plays performed in the college’s annual Student One-Acts. In her spare time, she plans her next tattoo (there will always be a next tattoo) and falls further behind on her to-be-read list. Anything left over is devoted to her tireless quest to make America read more. She lives in Portland, Oregon, with her darling husband Matt and adorable dog Jay. What is your advice for someone setting out writing their first novel? Learn the basics. Learn about the Hero’s Journey, learn about a three-act structure, about the plot mountain. Even if you choose not to outline (which I would also recommend you try at least once), understanding typical novel structures will help you keep the shape of your story in mind as you write, which will make editing a helluva lot easier. Later, you can deviate from and subvert these narrative norms, but when you’re starting out, they can be helpful guides. What did you learn after finishing your first novel?–what did you learn through writing the first draft?–what did you learn through editing? What I learned through a decade of writing and revising the first draft of my novel was that big stories are made out of small parts. My early problems with the first draft came from having too many parts, too many characters and plot line to manage. The other problem early on was that I gave each of those parts equal importance, which is antithetical to the novel’s inherent task of highlighting a particular story. In drafting and editing this debut novel, I learned to narrow my focus and linger on the story and emotions I was actually trying to convey. How much of an idea do you have before you begin writing? It varies. Usually I get an idea for a character with a particular trait; I write that down and build from there. With From Under the Mountain, I was in biology class and thought the DNA proteins sounded like fantasy names, so a setting was born. The first “Web” novella, I See the Web, was inspired by an actual experience I had with a spider. Do you advance your novel while you’re out working or walking around? –do you advance its plot or its characters? I’m not sure what you mean by “advance”—but when I’m in a drafting phase, I do think about the story all the time, especially if there’s a narrative or editorial problem I’m trying to solve. What form do you write in most? Do you write novels most? Yeah, I’m a novelist pretty exclusively. I’m notoriously bad at writing short things, both in terms of keeping the word count down and making the narrative focused and small enough to fit. I sit and I write at least four days a week. I try to get at least 2000 words in each session, usually more. I always start a session by reading over what I wrote the previous day, and I follow a fluid outline that I adjust as necessary. And this is the really important part: I get a cookie for every thousand words I write. What guides you in your writing? How do you pick what to follow and what to leave aside? I write using an outline, and when I’m drafting the outline, it’s very logical. It’s about making sure the action progresses in a way that makes sense. Once I start drafting, as I get to know the characters better, the emotional journeys they take tend to be the stronger force, and that usually means the action changes a little bit. Unless the emotion is there, the plot won’t feel authentic; that’s how I decide what to keep or change or discard. Do you ever feel tricked or led astray by an idea or a character? No, not at all. For one thing, I don’t tend to treat my characters like they’re separate from myself—I’m not of the “oh, my characters do what they like” school. I tend to dislike anything that diminishes the author’s role as the ultimate decision-maker in a book’s production, barring a few exceptions, for reasons I’d be happy to go into at another time. Do you start knowing the end? Do you keep your beginning? Yes, and sometimes. Usually, though, it’s the middle that needs the most revising. What nourishes you throughout the process? Is the process a thrill or is it painstaking? Drafting sometimes is a pain. The magic for me is in revising, because that’s where the frame of the story is in place and you can really start sculpting the final form. Themes emerge, characters shine or dim, the plot either falls together or apart—whatever happens when you go back shows you the way forward. So I power through the drafting, and I edit as I go, because I know that’s how I get to the part I love most. You can find C.M. Spivey’s books on her website.